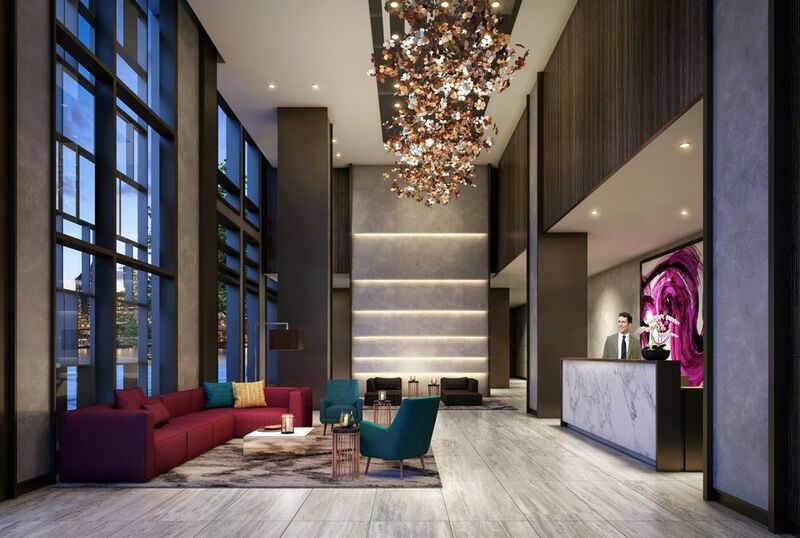 The 448 rentals of Vantage are poised to hit the market in late June with studios priced from $2,115. 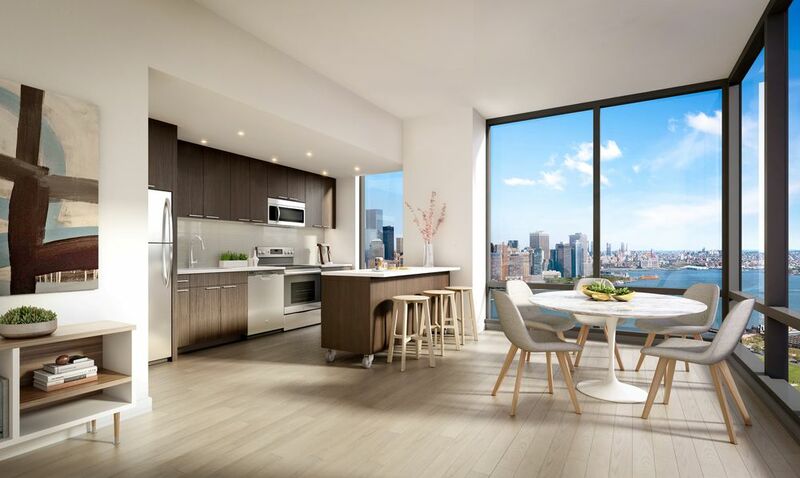 For that cost, renters get kitchens with wooden cabinetry and stainless steel GE appliances; access to amenities like an outdoor swimming pool, landscaped deck, gym, full-size sports court, and indoor and outdoor screening areas; and bike and car parking. The development’s teaser site is now live, but has yet to offer up a look inside of the new building at 33 Park View Avenue. Take it all in, below.